Much like the films starring the cast of the original series, the “Next Generation” movies are pretty hit and miss. While “Insurrection” ranks among one of the worst “Star Trek” stories ever produced, the Borg-centric “First Contact” is widely considered to be one of the best. 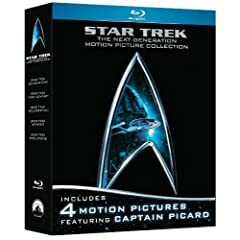 “Generations” and “Nemesis,” meanwhile, are really neither good nor bad, but simply mediocre “Star Trek” films in the same vein as “The Undiscovered Country” and “The Search for Spock.” Of course, everyone has their favorites, but that’s not going to prevent diehard fans from picking up this five-disc set. 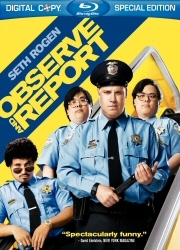 Paramount did a smashing job on the first collection and there’s no reason to believe they haven’t done the same thing here. Every film has been showered with Blu-ray exclusives, while a fifth bonus disc covers everything from villains and the evolution of Enterprise to the Star Trek Experience in Las Vegas. There’s no way it’s going to match “The Captain’s Summit” in terms of sheer awesomeness, but Trekkies will appreciate it nonetheless.